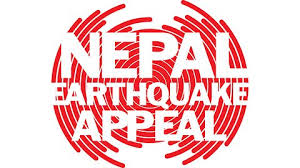 The earthquake in Nepal on Saturday 25 April severely affected at least 8 million people. Throughout June and July, staff and members at two of our gyms – Jubilee Hall in Covent Garden and The Armoury in Hampstead – helped to raise money by undertaking various fitness challenges. Led by perennial fundraiser and exercise class instructor/personal trainer, Chrissie Mullings-Lewis, participants had to see how many press-ups they could do in a minute, and how long they could hold the ‘plank’ position for! Champions at the press-ups were Chris Lacey with 85 and Margaret Durbal (62), whilst Georgina Davies managed to hold the ‘plank’ for an incredible 5 minutes! Donations were made via Justgiving and in loose change, and the £1300 raised will go towards supplying aid, shelters, clean water, sanitation, food and blankets. Congratulations to Chrissie and the rest of the team on a fantastic effort!